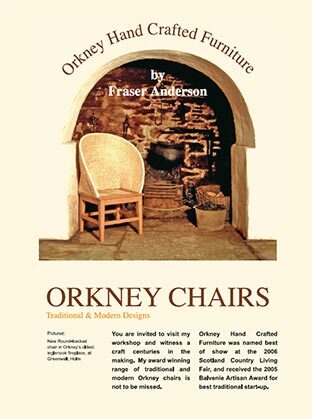 Orkney chairs come from a tradition dating back centuries. Once a simple piece of furniture for islanders, these chairs are now the centrepiece of many modern homes across the world. Originally created using driftwood collected from Orkney’s shoreline, nowadays the chairs can also be made from hardwoods like oak, walnut and ash. Each piece is crafted by hand, from the thirty-two frame joints to the chair back, made with local straw that’s individually prepared and woven into a continuous rope. The entire process can take up to one hundred hours of work for a skilled craftsman. With more than a decade of experience, we rely on our eyes and our touch to create our chairs, just like the generations before us. The end result is worth it. Our chairs are made to order and can be customised to fit each client too. 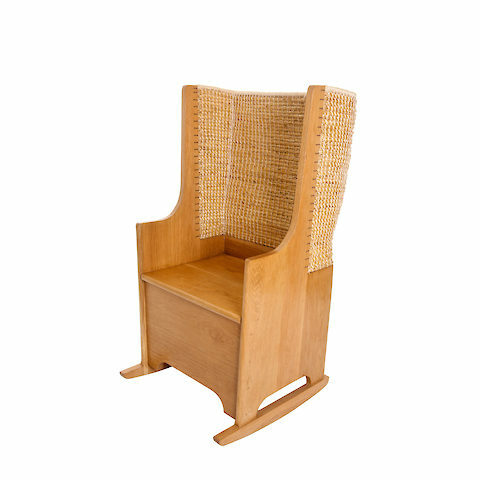 The tradition of each family member having their own chair still exists as well - we can create pieces for gents, ladies, children and even infants. Chairs have arrived in perfect condition and they are gorgeous. It took a little longer for Gregory to receive his with New Jersey still trying to get back on their feet after the big storm. But they both are absolutely wonderful and both Beggs are so very pleased to have Orkney in their homes. Thank you so very much - you are a true craftsman. Orkney is in our hearts and homes. I was just so thrilled to receive the big crate yesterday and then to open it and see your beautiful piece of craftsmanship. The chair fits beautifully into our living area and will be the topic of conversation for many visitors and family members for years to come.